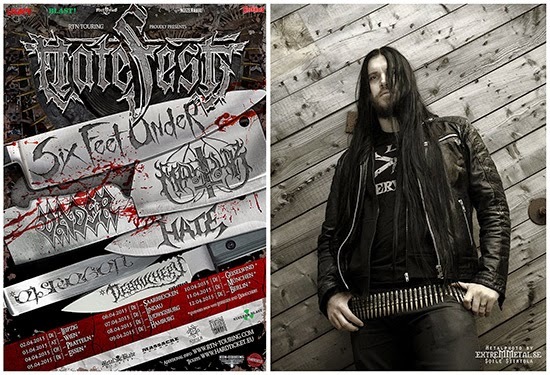 Six Feet Under: April 2015 will see the return of the HATEFEST Tour. The unholy billing will be headlined by SIX FEET UNDER and includes also Marduk, Vader and Hate! Special guests on all weekend-dates will be Eisregen and Debauchery. SIX FEET UNDER have announced Victor Brandt will be stepping in for this run of dates on bass.